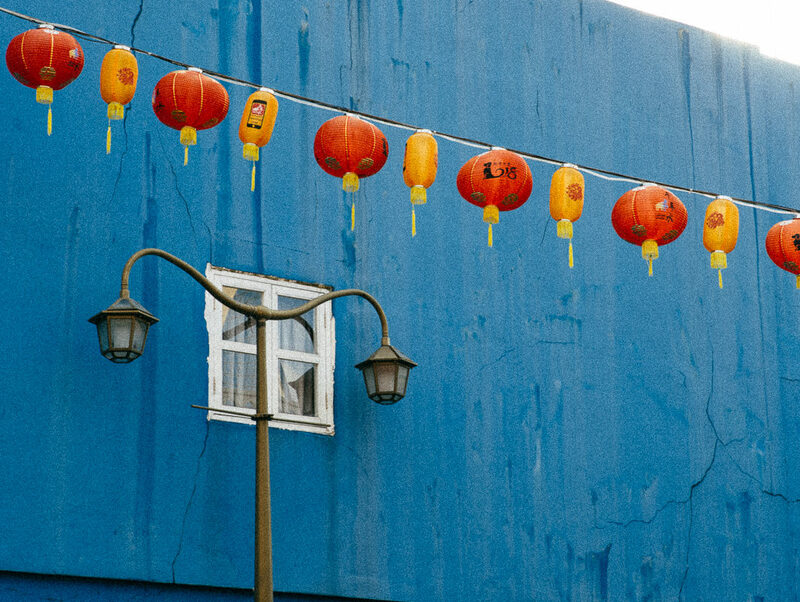 The façades of Chinatown are vibrant with patina and bursting with stories about the generations of family-run medicinal halls and teahouses that continue to thrive amid a new crop of boutique hotels and cocktail bars. 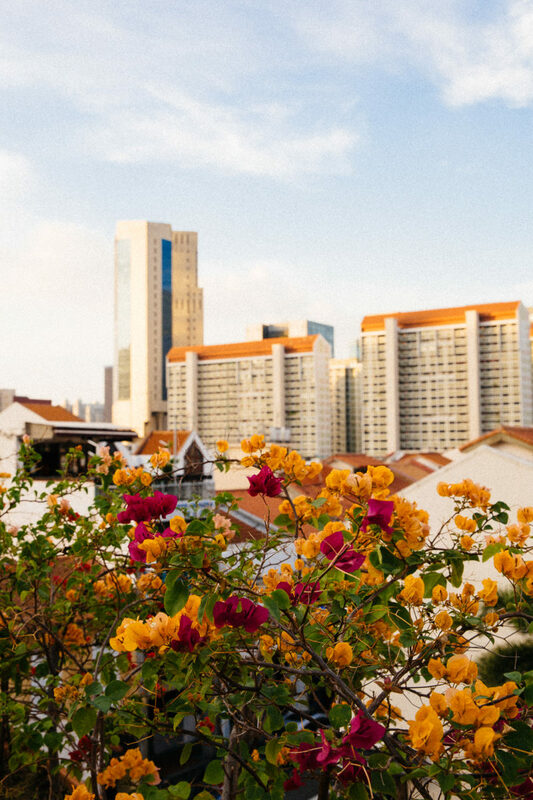 Singapore is a city of juxtapositions—a compact island nation where breathtaking architectural wonders exist alongside colonial-era structures and the steamy bustle of the city streets are a microclimate away from the cool verdant hills above. Revel in the dichotomy of the modern and historic, the gritty and polished, the earth’s bounty and man’s creations. 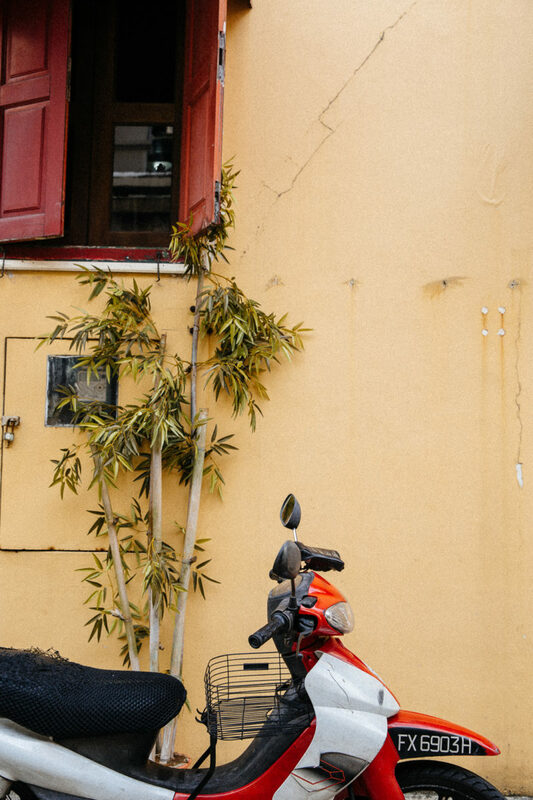 Take time to wander the side streets and back alleys, where you’ll come across sumptuous courtyards, historic homes with intricate details, and shops that continue to operate as they did decades ago. 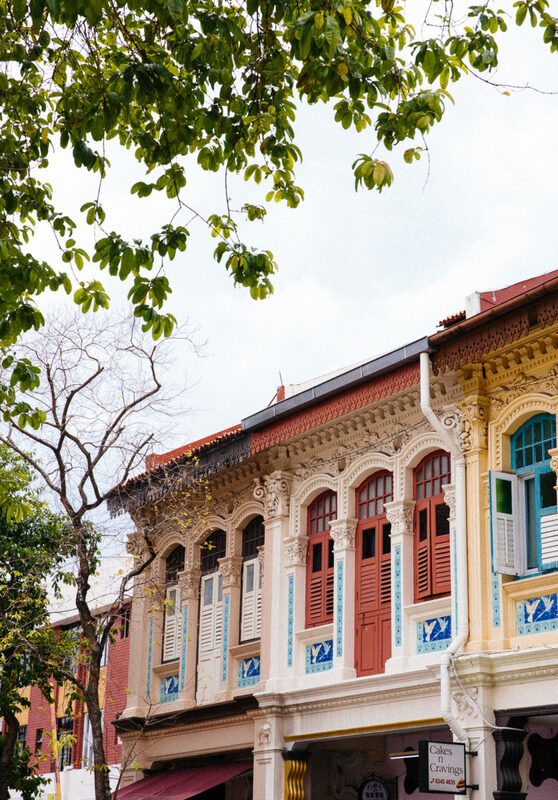 Don't forget to look up when wandering around the Joo Chiat neighborhood, where heritage shophouses with vibrant colors and elaborate tile work represent an eclectic mix of Chinese, Malay, and European influences. 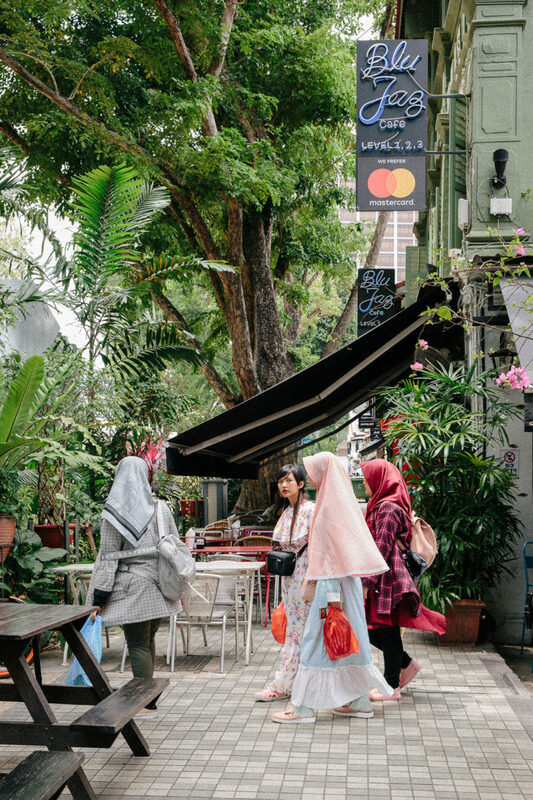 Kampong Glam (named for the gelam tree native to the area), originally a predominantly Muslim community, is now a lively neighborhood where old school street vendors display their wares alongside newly established boutiques. 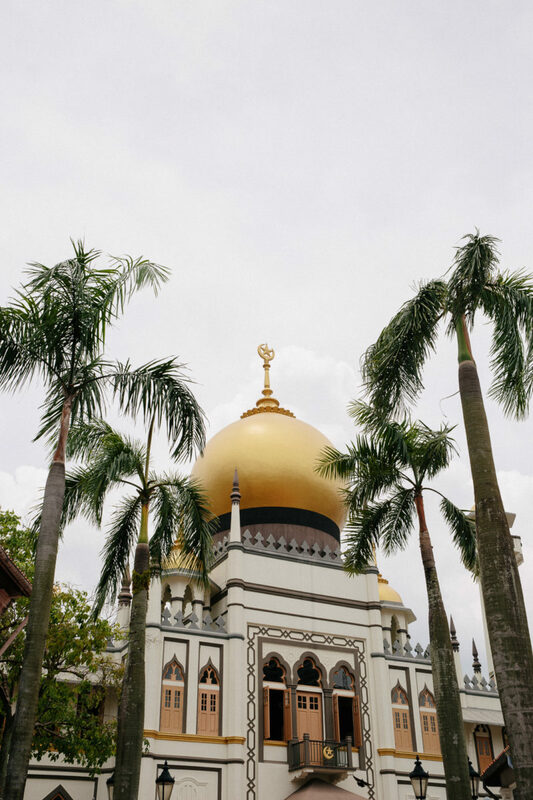 Masjid Sultan, in the heart of Kampong Glam, mixes traditional Hindu and Islamic details with Gothic and Neo-classical design elements. The surrounding area comes alive during Ramadan, when the fast is broken after sundown and night markets buzz with festive energy. 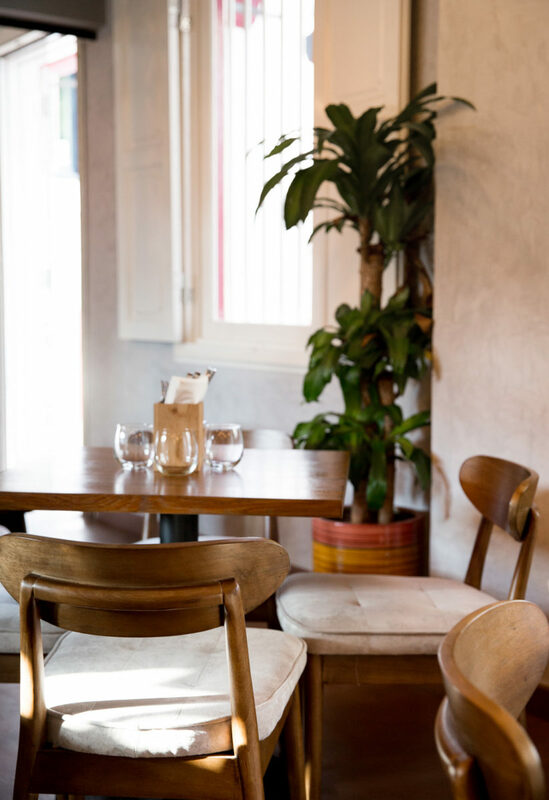 Many of the best gems are tucked away upstairs instead of on street-level. 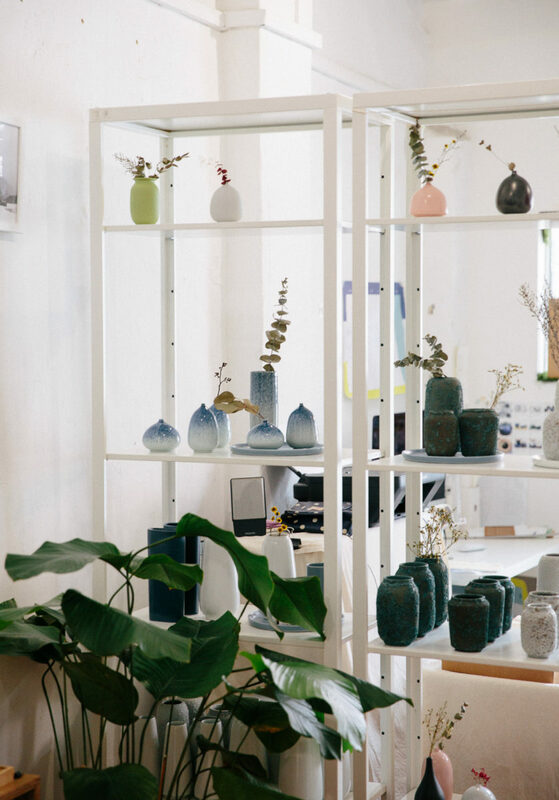 I wandered up a narrow stairwell and into a lovely conversation with the owner of oh!eaf, a ceramic studio with an extremely high temperature kiln in a Chinese village that has been creating pottery for over 1,700 years. 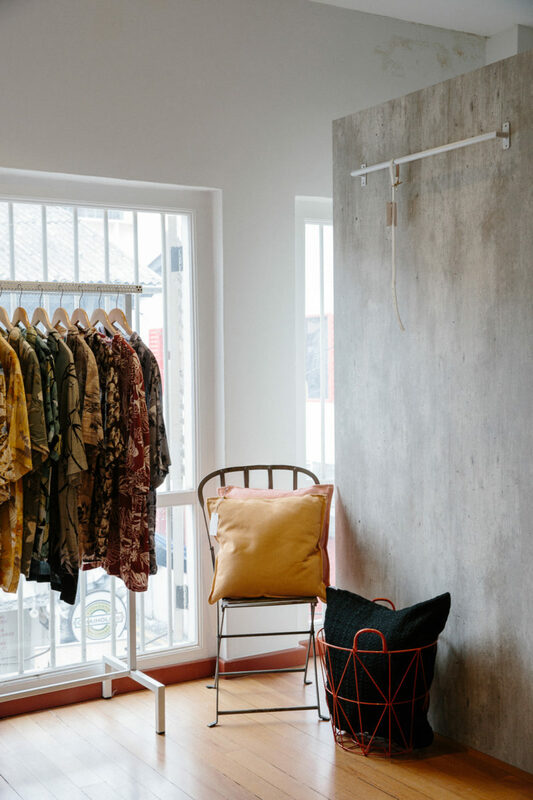 SaladShop, a contemplative two-story showroom off busy Haji Lane, showcases understated home goods along with refine fashion pieces. 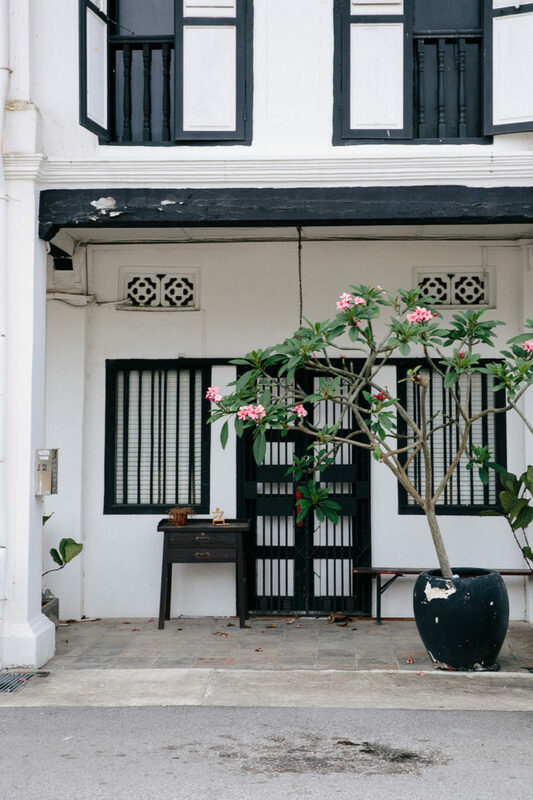 The "black and whites," as they are affectionately called on the island, blend traditional English styles with tropical aesthetics, an architectural nod to Singapore's colonial history. A dusk cocktail at Coriander Leaf Grill is the ideal way to kick off an evening on the town, barhopping along Ann Siang Road's sophisticated bistros. 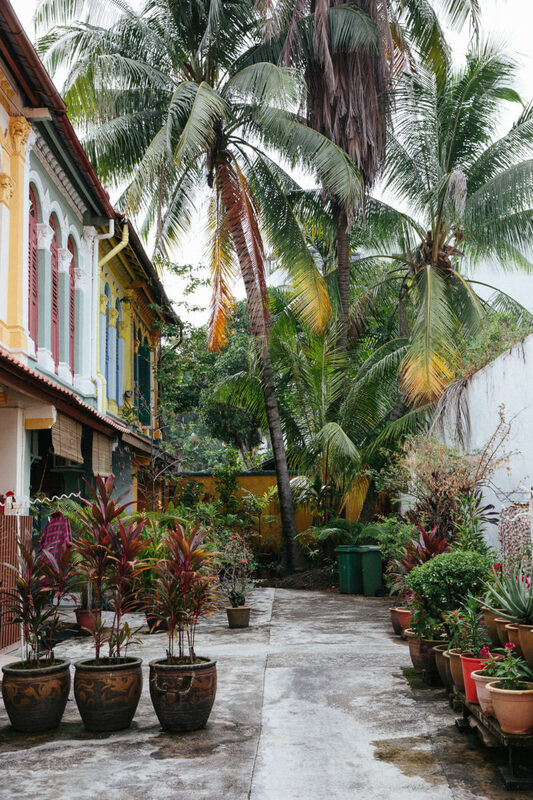 Simply wandering down side alleys in some of the older enclaves, such as the Katong District, is an adventure in itself. The blooming bougainvilleas frame the many condominiums on the island, where limited real estate equates to plenty of vertical living. 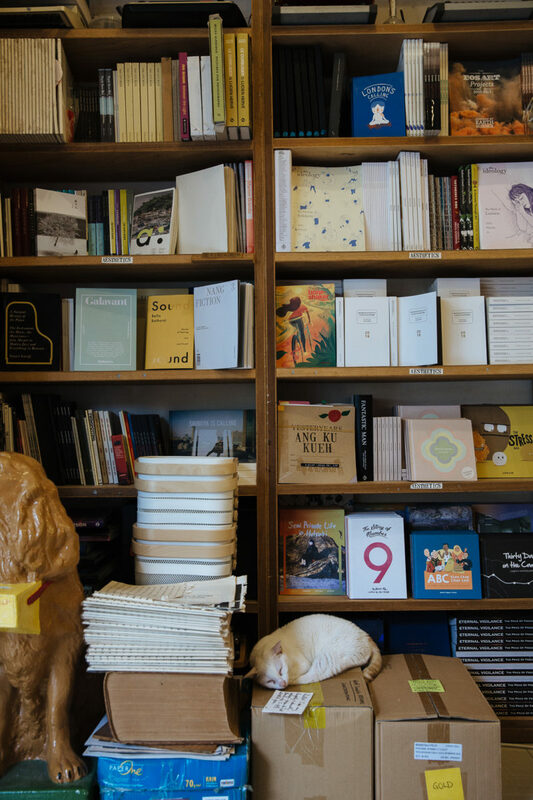 Books Actually, in the burgeoning Tiong Bahru neighborhood, highlights local authors and homegrown indie mags. Pick up some solid reads for café hopping in the area or, as I did, for my long flight back across the Pacific Ocean. Singapore is incredibly green on every corner, every view, every alleyway. The vibrant tropical fauna thrives in the humid climate that comes from its proximity to the equator. 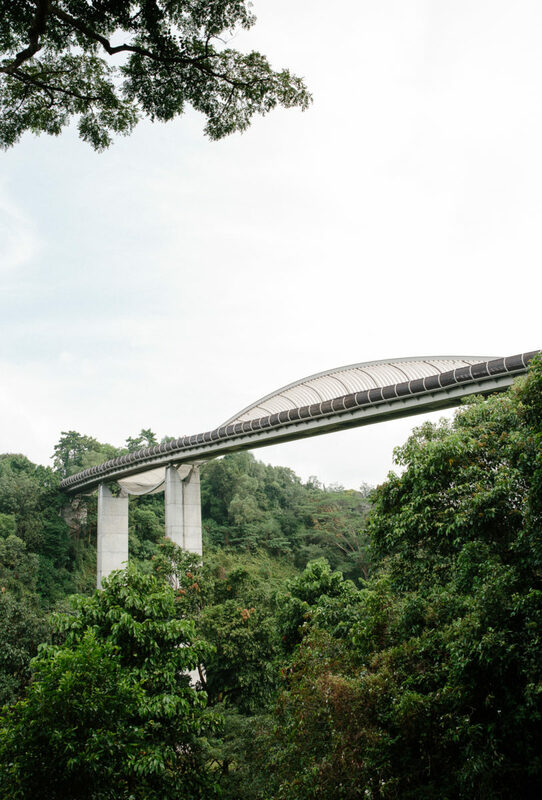 Mount Faber Park, with its dense vegetation and cool air, is the perfect respite from a sweaty afternoon wandering around town. It is the highest peak in Singapore, with sweeping city views of the central business district and Sentosa Island.